Samuel Donovan (Don) Swann; 1889-1954 Lived in Baltimore. 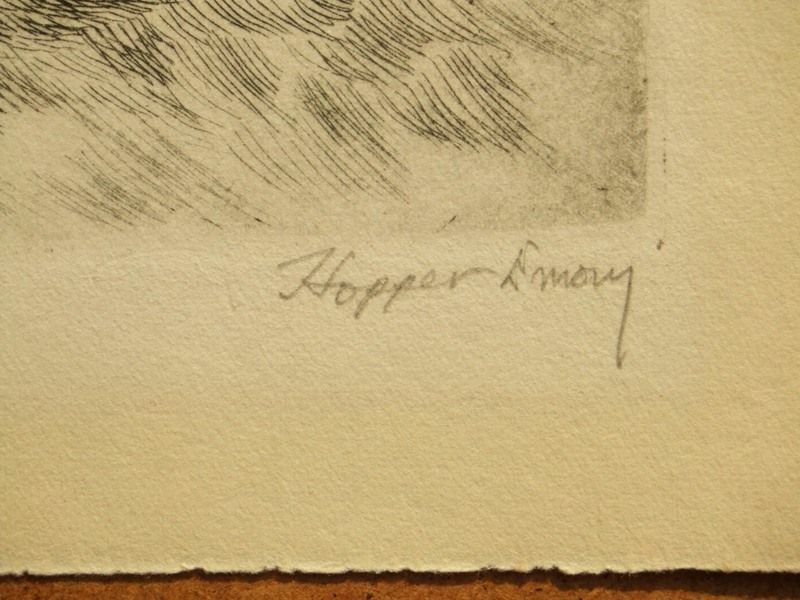 Hopper Emory; 1881-1931. born in Baltimore, he received a degree in law and was successfull in banking and the automobile insurance business, in 1931 he sold his business and devoted his time to art. He studied under Paul Roche and then sailed for England hoping to Study under Frank Brangwyn. 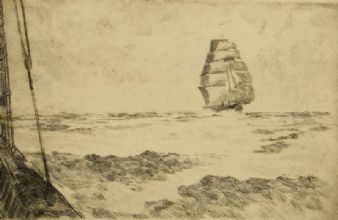 He was very disappointed to find that Brangwyn was not taking any pupils; but upon his recommendation Hopper studied at the Heatherly School of Art in England. 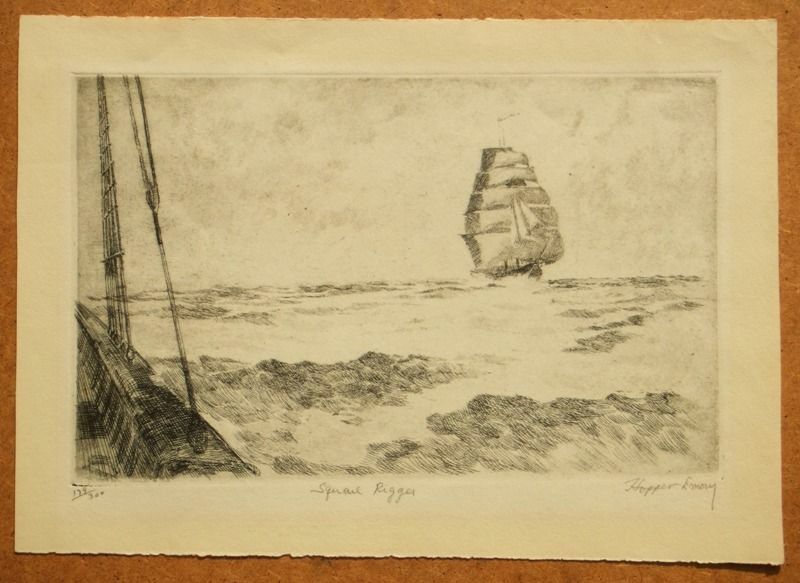 This etching has retained its colouring, in black ink, with excellent line detail, textures and plate tone. 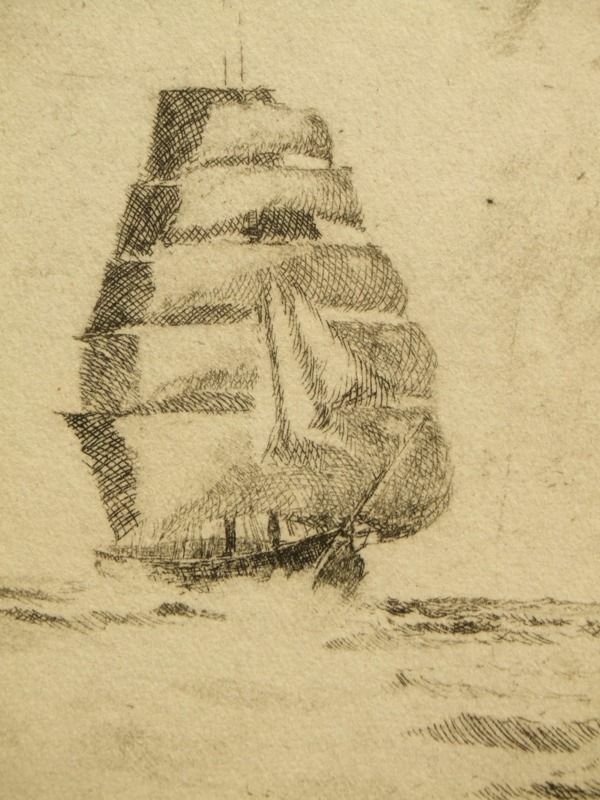 Signed and titled with the edition 179/300 in pencil by the artist in the lower margin. 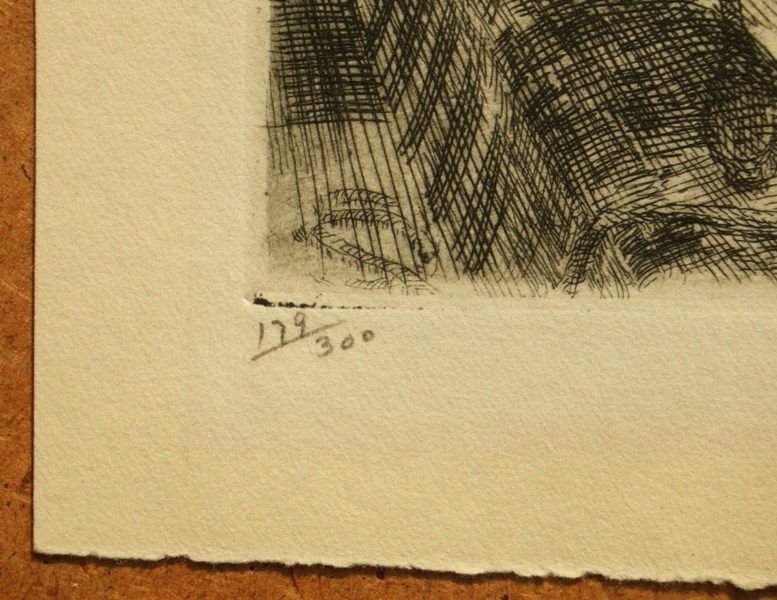 Unframed and unmounted, the condition of the image and sheet is good with a toning to a previous mat window and handling marks condusive with age.